Am I impressed with this mod is not much, it should give two axles mini trailers. but there’s nothing mini about the trailers they are the same size as the original trailers but with two axles instead of three, but otherwise I can not find any difference. You get a few new trailer for the game but that’s all. So I would recommend it yes, would you like to have a two axle trailer otherwise I will not, because that’s all you get. 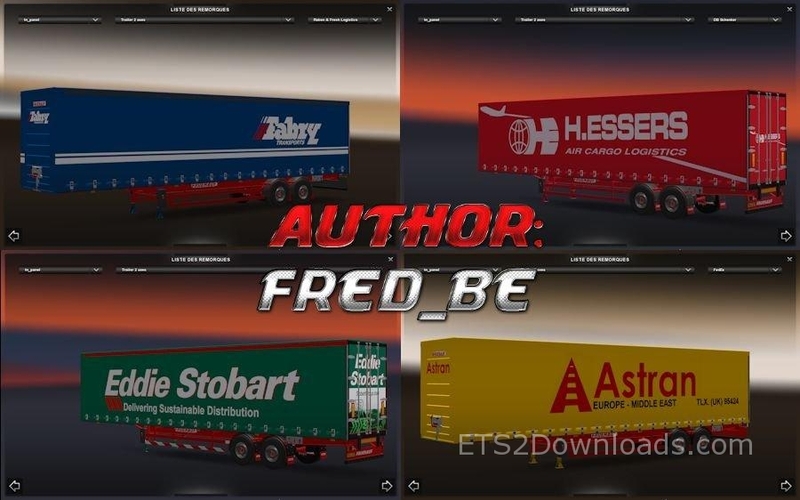 Compatibility: ETS2 1.11.x and 1.12.x and all maps! I noticed the ZIP contains a folder with the .SCS and other files inside that. If I drop the whole subfolder into the /mods folder will it still read the .SCS within?